We have a 40 Ton Tadano Faun all terrain crane to meet the growing demands for our services and storage facilities. 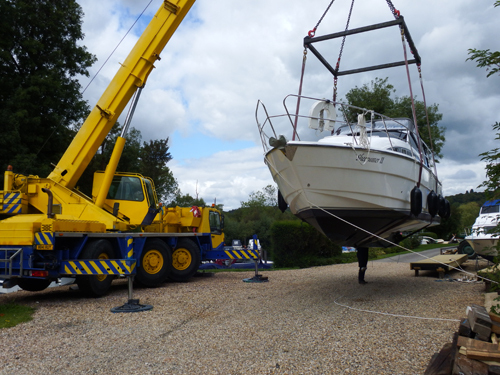 Hambleden Marina specialises in wooden, steel and GRP boats and we have the expertise to carry out a very wide range of work. We also offer crane hire off site within the marine industry. We have many regular customers and take great pride in our work which is carried out to an extremely high standard with both enthusiasm and care. Please take a look at our pictures in the Previous Work section. We also have an excellent relationship with other contractors when we feel their expertise is appropriate.